NJ Paleo Girl: Thirsty--- What's a Paleo Girl to Drink? So what does this mean for you: Soda’s out (in my opinion- all soda’s: diet and regular)! Juice, which is loaded with sugar, is out! Snapple, and all those other artificially sweetened drinks on the market, is out! For the paleo girl water is the most natural and easily available beverage of choice when you get thirsty! 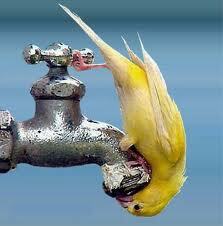 Unfortunately for some of you out there- you don’t like water! Yes, I know at least one of you… so what can you do? Spice things up a bit: squeeze an orange, lemon, or lime slice to give your water a citrus taste, try slicing up some cucumbers to give your water a spa feel, or switch to the sparkling kind: Great taste, and super refreshing! Tea and coffee should be enjoyed for their flavor as well as their health benefits, however just as with most vices, do use moderation--- no one needs the caffeine jitters! Some of the health benefits one can obtain from coffee and tea are: anti-cancer properties, weight loss, a boost in mental alertness, an increase in short term memory, lower stress levels, get rid of bad breath, and even protect against cardiovascular disease. If you get bored with your usual coffee, explore the world of tea; there are so many choices, with and without caffeine! 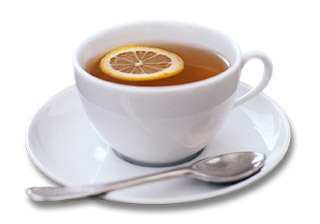 I usually drink two or three cups of tea a day (green tea with mint or white tea with orange are my go-to). 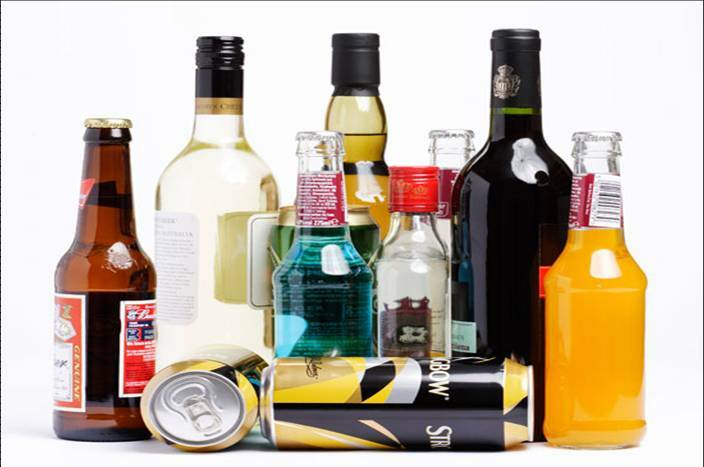 Juice as a beverage is a toughie--- most commercially available juices are loaded with extra sugar (natural or artificial it doesn’t matter: you would be better off just eating the fruit)! It’s never been more important to read the label! Juice labels should be SHORT: just the fruit and water. 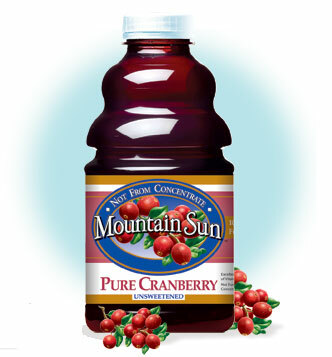 My favorite juice is CRANBERRY JUICE . The ingredient label is nice and short- Cranberry Juice and Vitamin C! Perfect! If you’re craving the sweet stuff, try making a spritzer: two parts sparkling water and one part juice. My favorite is seltzer with a splash of my cranberry juice and the juice of half a lime. So delicious. Next up for us athletes--- all those sugary energy and sports drinks. We know that Gatorade, Vitamin Water, and Red Bull are out! So what is a drink that will restore electrolyte balance to the body after a work out and is paleo friendly? That's easy! And you can make it yourself! All you have to do is squeeze a lemon into a large glass of water (or a bottle of water) and add a pinch or two of salt! Nice, Simple, and Naturally restores balance to the body! 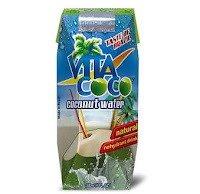 Another option for those concerned with electrolyte replacement, great for those days tanning on the beach, is coconut water- it has tons of potassium, electrolytes, vitamins, fiber, antioxidants, proteins and other good-for-you things. Coconut water is paleo friendly (again READ THE INGREDIENTS LABEL!) and is a healthier alternative than sports drinks. Beer - Beer is really anti-Paleo. It's made of gluteny-grains, and unlike whiskey (also made of grains) the gluten is not fermented away. (There's at least a sandwich worth of bread in any pint of high quality beer--- WHOA! )You may want to try one of the gluten free beers out there if you love the taste but don’t want to deal with the beer belly bloat! Hard liquor - Hard liquor is better (whiskey, scotch, bourbon, etc) as most of the grains are fermented away during the making and because the serving size is smaller there is less sugar. 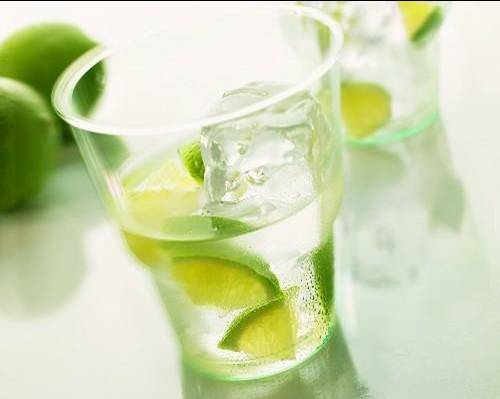 If a shot is not your cup of tea, then try a liquor mixed with soda water and a squeeze of lemon! 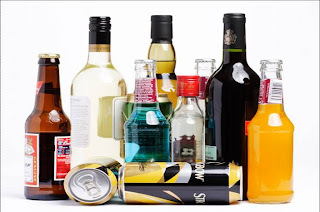 The carbonation will help the alcohol reach your brain faster (Water and fruit juices mixed with alcohol slow the absorption process, while carbonated beverages will speed it up). What are your favorite Paleo-Friendly Drinks? Thanks for the help! I have been having trouble with this topic so it is much appreciated. How about hard ciders? Are they paleo friendly? I make cider! It's apple or pear juice and yeast, no wheat! Thank God! Of course alchohol and sugar but hey!